Eden McKinley knows she can’t count on much in this world, but she can depend on Bonnie, her solid, steady, straight-A best friend. So it’s a bit of a surprise when Bonnie runs away with the boyfriend Eden knows nothing about five days before the start of their GCSEs. Especially when the police arrive on her doorstep and Eden finds out that the boyfriend is actually their music teacher, Mr Cohn. Sworn to secrecy and bound by loyalty, only Eden knows Bonnie’s location, and that’s the way it has to stay. There’s no way she’s betraying her best friend. Not even when she’s faced with police questioning, suspicious parents and her own growing doubts. This title will be released on January 29, 2019. 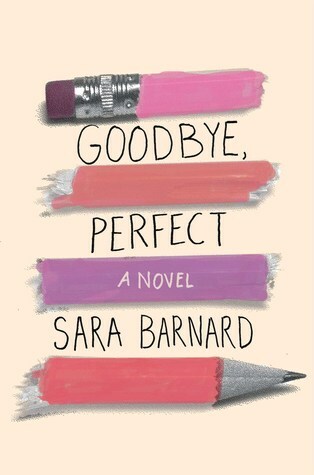 About the Author: Sara Barnard lives in Brighton, England, and does all her best writing on trains. She loves books, book people, and book things. She gets her love of words from her dad, who made sure she always had books to read and introduced her to the wonders of secondhand bookshops at a young age. Sara has lived in Canada, worked in India, and once spent a night in an ice hotel. She studied American literature with creative writing at university and never stopped reading YA. Sara is inspired by what-ifs and people. She thinks sad books are good for the soul and happy books lift the heart. She hopes to write lots of books that do both. My Review: This was an interesting way to tell this story. As the reader we get an outside look at a teen girl running off with her boyfriend whom is her teacher. We don't normally get a story told like this and it made this one something new. The actual story thought was something that I don't normally read about. Although I think that this will be something that some people will love I thought it was ok via the subject matter. I did think that Eden should have told Bonnie's mom what she knew. Just for the simple fact that I know if my daughter ever did something like this I would hope that if any of her friends knew something that they would tell me. I understand that Eden is just trying to be a loyal friend but when that loyalty puts your friend in harms way its time to face facts and come clean. All in all this one just wasn't really for me but it was written very well.